Wash Day 3.26.13 | .forever.as.i.am. Hey there awesome readers! I know I haven’t been on here much and I sincerely apologize. school has been cray. This weeks wash day had to start a little late due to all the work I had to do for my geology class @_@ today I’m doing a simple DC with aloe vera, some trader joes condish, and some GSO. 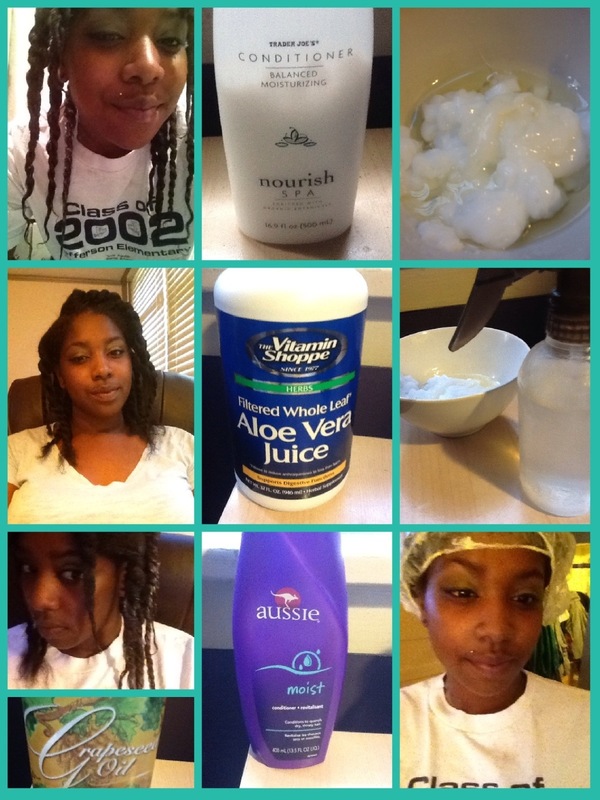 I separated my hair into 10 sections, then applied my mixture thoroughly and let sit for 40-60minutes.